One of six lectures devoted to a major work in the string repertory. Each will end with a complete live performance of the work by the Badke Quartet. The lectures will discuss both the historical and musical background of the work in question, and examine any particular performance problems that it raises. The Badke Quartet, formed in 2002, is widely recognised as one of Britain's finest young string quartets. Recipients of the Leverhulme Junior Chamber Music Fellowship at the Royal College of Music from 2003-2005, and the Bulldog Scholarship for String Quartet at Trinity College of Music in 2006, the Badke Quartet has received widespread acclaim for its energetic and vibrant performances. Professor Parker was the Gresham Professor of Music between 2006 and 2010. He is currently the Thurston Dart Professor of Music at King’s College London. He studied at the University of London, first at Goldsmiths, then at King’s. He then taught at Cornell University, at Oxford and at Cambridge, where he was Professor of Music and served as Chair of the School of Arts and Humanities. He has held Visiting Professorships at Princeton and at the University of California, Berkeley, where he was the Ernest Bloch Lecturer. 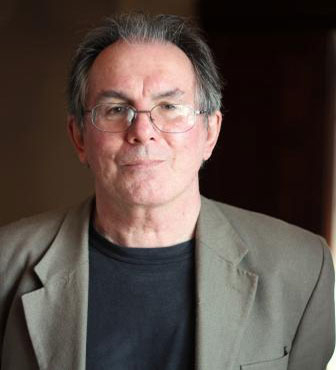 Roger Parker&apos;s work has centred on opera, in particular Italian opera of the nineteenth century. For ten years he was founding co-editor (with Arthur Groos) of the Cambridge Opera Journal, and he continues as General Editor (with Gabriele Dotto) of the Donizetti Critical Edition. He was a Guggenhiem Fellow in 1986-7, received the Premio Giuseppe Verdi in 1986, and in 1991 was awarded the Dent Medal of the Royal Musical Association. He has produced numerous publications but his latest book is Remaking the Song: Operatic Visions and Revisions from Handel to Berio. To access all of Professor Parker&apos;s previous Gresham College lectures, please click here. The Badke Quartet, celebrating its 10th anniversary this year, is widely recognised as one of Britain’s finest string quartets. Winners of the 1st prize and audience prize at the 5th Melbourne International Chamber Music Competition in 2007, the Badke Quartet has received widespread acclaim for its energetic and vibrant performances. The Quartet has worked with some of the world’s greatest string quartets and studied with Gabor Takács-Nagy at IMS Prussia Cove and members of the Alban Berg Quartet in Cologne. From 2005 to 2009 the Quartet held the Senior Leverhulme Chamber Music Fellowship at the Royal Academy of Music. 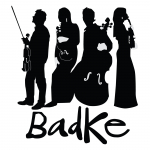 The Badke Quartet regularly performs at concert halls and festivals in the UK and abroad, including the Aldeburgh, Aix-en-Provence and Verbier Festivals, West Cork Chamber Music Festival, London’s Wigmore Hall, Kings Place, and the Musikverein in Vienna. The Quartet enjoys collaborations and has worked with musicians such as Mark Padmore, Sir Thomas Allen, John Mark-Ainsley, Nicholas Daniel, Simon Crawford-Philips, Simon Lane and Malcolm Martineau. No strangers to the airwaves, the Badke Quartet has frequently broadcast live on BBC Radio 3 as well as on Classic FM, Lyric FM (Ireland), ABC Classic FM (Australia) and for the European Broadcasting Union. Last season saw the Quartet perform all over the UK and Ireland, premiere two new works written specially for the Quartet at Kings Place in London and further afield played in Norway, Spain, Germany, Sweden and made its début at the Concertgebouw in Amsterdam. Believing strongly in the importance of education work, in building new audiences and making chamber music much more accessible, the Quartet performs in schools across the UK, bringing chamber music to hundreds of children in conjunction with the Cavatina Chamber Music Trust. The Badke Quartet is most grateful to the Hattori Foundation, Musicians Benevolent Fund, Nicholas Boas Charitable Trust, Fidelio Charitable Trust, Tillett Trust and several private sponsors for their continued support. The Quartet play on a fine set of instruments. Charlotte performs on a 1684 Andrea Guarneri, which the Stradivari Trust is helping to raise the funds needed to secure the violin for her use; Emma plays on a a Nicolò Amati violin from 1672, kindly on loan from a private donor; Jon plays a Marino Capicchioni viola and Jonathan is performing on an fine Italian cello from Venice c.1730 also facilitated by the Stradivari Trust. In October 1907, Béla Bartók, whose fiercely complex and demanding Second Quartet we attended when last we met, was in Budapest doing some shopping. Among the musical scores he brought was Debussy's rather grandly entitled First Quartet, in G minor, Op. 10, which had been first performed only fourteen years earlier, in 1893. It was, as they say, money well spent: Debussy's influence is strongly heard in Bartók's first string quartet, and even survives amid the greater austerity of the second. So the distance we have to travel from Bartók to Debussy is in one sense not large, either chronologically or stylistically. On the other hand, though, the musical times were moving fast in those heady days around the end of the nineteenth century: if you mistook Debussy's quartet for one by Bartók, it would not suggest future star status on anyone's music quiz team: words like 'weakest' and 'link' might even come your way. Let's explore a little of Debussy's background. He was born in 1862, near Paris, and so was a young child when the trauma of the Franco-Prussian War, the Siege of Paris and the Commune enveloped the city. His father became a Communard and was duly imprisoned when those sad months came to a bloody end in 1871. Enrolling early in the Paris Conservatoire, Debussy had some limited success; while studying there he was taken up by Chaikovsky's patron, Madame von Meck, and visited Russia a couple of times; eventually (on his second try) he won the coveted composition prize, the prix de Rome, and spent two years in Italy in the mid 1880s, a conventional and, in this case, spectacularly inappropriate pilgrimage for a budding French composer. Back in Paris in 1887, Debussy found himself in a city that was strangely divided musically, in the grip (as it had been ever since the Franco-Prussian War) of a peculiar love-hate relationship with German musical culture. The frivolity of French culture in the 1860s, in particular the dominance of opéra-comique and Offenbachian operetta, had been seen retrospectively as a contributory factor to the military disasters of 1870. Endlessly rehearsed was a story about the death of Auber (the most famous of the opéra comique composers): his demise had apparently been hastened by grief at the discovery that one of his beloved horses, which he would exercise daily in the Bois de Boulogne and which he had christened (with due nostalgia) Almaviva, had been requisitioned during the Siege and summarily eaten. This sad tale seemed iconic, marking brutally the end of an era. After the Commune came to its bloody close, a new spirit of cultural seriousness took hold; one hardly surprising in the circumstances. But in musical terms this was complex, because to be serious musically meant, above all, to embrace the musical styles and genres of the hated German invader, in particular the symphonic traditions of Beethoven and his followers, and the high philosophical seriousness of Wagnerian opera. And so began a strange pas de deux, in which French nationalist aspirations attempted to come to terms with, adapt for its own purposes and then (sometimes) violently reject Germanic musical means. As I said, Debussy was plunged into this milieu on his return from Italy, and responded to it all with a promptness that couldn't be improved upon. In the late 1880s he made the (then inevitable) 'pilgrimage' to Bayreuth and was briefly obsessed by Wagner, trying to square the circle and, in the words of a friend, absorb 'all the Wagnerian theories that are still compatible with the spirit of our race'. But soon after this came a repudiation of all things Wagnerian; as Debussy said: 'my conception of dramatic art is different', 'there is too much singing in musical drama'. In the early 1890s he started toying with a symbolist operatic project about Pelléas and Mélisande, one in which all things Wagnerian would be quietly laid to rest and pure (if rather obscure and misty) French dignity restored. It was a long process: in 1892 he had made some elaborate sketches for one scene, but then realized that 'the ghost of Klingsor, alias R. Wagner, had appeared' and the offending pages had to be ripped up. It would be another ten years before Pelléas reached the stage and consolidated Debussy's reputation. But this operatic battle was only one episode in the larger struggle. Another field of Franco-German combat was that of instrumental music, in which Cesar Franck and other prominent figures had fully embraced 'Germanic' forms, writing sonatas and various 'classical' chamber music combinations, and in which there grew up a considerable vogue for quartet societies and other groups that specialized in the works of Haydn, Mozart and Beethoven. It was for one such concert society that Debussy wrote his String Quartet in 1893, and his ambition to figure in this episode of the French/German pas de deux is immediately announced in his title. 'First Quartet, in G minor, Op. 10' may sound perfectly conventional to those brought up on the Viennese classics, but no other work of Debussy's has a key in its title, and (more surprising still), no other work has an 'opus' number: we must assume that he chose 'Op. 10' because it sounded impressive and self-assured - a man with nine 'opuses' behind him sounds like a quartet composer to be reckoned with. The quartet was written for and dedicated to the Ysaÿe Quartet, led by the great Belgian violinist and composer Eugène Ysaÿe, then at the height of his fame. It was premiered on 29 December 1893 in Paris, before an audience who, by all accounts, judged new works according to the ferociously high standards that had been set by the great Viennese classics. It would be pleasing to report that this demanding audience immediately understood the serious intentions of the composer, and accorded his new work the reception it deserved. Unfortunately, and not for the first or the last time in music history, they did neither. The best thing that anyone managed to say about the quartet was that it was 'bewilderingly full of originality and charm, but diabolically difficult'. Even supporters of the young composer (he was thirty-one at the time, and still a stranger to fame) such as the elder statesman Ernest Chausson were negative or merely bland. Debussy seems to have been especially hurt by Chausson's criticism, and vowed to write another string quartet that would 'try to give dignity to my forms'. Perhaps he made some sketches, but this second quartet never materialized. On the surface, this failed première is ironic because the quartet in many ways tries very hard to gesture towards the great (German) instrumental tradition. For one thing, its overall shape declares this act of homage quite obviously. It is in the 'classic' four movements. The first movement is in an obvious sonata form, with a standard-issue second subject, a development section and obvious recapitulation; then there's a lively, Beethovenian Scherzo movement, full of inventive pizzicato effects; then a long, slow, melody-rich third movement; and lastly a finale that even gestures towards that of Beethoven's Ninth Symphony in its recitative-like opening and recollections of past movements. What's more, and in the manner of the times, the Quartet strives to outdo Beethoven in the matter of thematic coherence. Following several of Franck's works in particular, the entire quartet is 'cyclic' in form, constantly referring to and transforming the opening melody of the first movement through the course of the piece. So why didn't the staunchly Germanophile quartet society like it? Well: there are as usual several possible answers. A simple one is that Debussy's Quartet, although formally very well behaved, is, just like that critic said, diabolically, fiendishly difficult, presenting unprecedented challenges for the ensemble and their individual skills. In spite of the Ysaÿe Quartet's eminence, it may simply have been that they couldn't, on this first outing, manage to put the work across with sufficient conviction. (This, incidentally, might be the reason for quite a few famous first-night fiascos. I'm reminded of that Schoenberg joke: 'My music's not modern', he once said, 'it's just badly performed'.) This may have been some of the problem, but it's likely that the manner of Debussy's quartet, the kind of music in which he clothed his reassuringly conventional forms, was the principal culprit in causing this public incomprehension. So let's delve into that manner a little bit, with the help of some brief recorded examples. The first movement, with its prominent motto theme at the start (the one that recurs throughout the piece in different guises) is clearly worth thinking about and coming to terms with. It's played right at the start of the movement, by all the four instruments together, with purposeful articulation. What are its characteristics? The heavy 'bump' on the second beat of the bar, which upsets any sense of regular harmonic rhythm, is clearly important, as is the little arabesque figure in the first violin; and the whole idea is wrapped in a typically Debussyan modal harmony, giving the idea a kind of antique flavour, none too distant from the characteristic sounds that Debussy was simultaneously creating to adorn the ancient, mysterious land of 'Allemond' that would be the setting ofPelléas et Mélisande. The theme is developed briefly, but then peters out, to be replaced by a new theme, played on the first violin and then the cello, with the other instruments supplying atmospheric semiquavers, ones that may remind some of you of woodbirds in Wagnerian forests (the 'ghost of old Klingsor' was still lurking, it seems). And then the main theme returns, this time in new harmonic guises. Here it is, the opening minute or so, recorded by the Calvet Quartet in 1931; the sound quality is muffled, and the ensemble is sometimes approximate, but the Calvets, one of the great French quartets of the interwar years, make up for all this with great warmth of tone, delicate pianissimos, and - above all - a sense of easy relaxation. So that's the main thematic material, not only of the movement but (with transformations) of the entire quartet. To give you a more representative example of what I've called Debussy's manner it will be useful to hear a passage from the middle of the movement, that leading up to the recapitulation of the main theme in its original key. In this passage you'll notice that there's a constant, rapid triplet figure, which serves as an accompaniment to melodic fragments. But both melody and accompaniment are constantly shifting among the instruments: sometimes (as at the start), the upper two strings have the triplets and the melody in the cello; then the triplets migrate to the middle instruments and the first violin has the tune; later the triplets are picked up by all of them; then they move to the cello, with the other instruments in melodic fragments above it. This is complicated enough, one might think, but you'll also hear that these textures alternate with extreme rapidity, in constantly changing speeds and dynamics and with the entire range of the string quartet, from the highest to the lowest reaches, explored. There is, in short, an enormous, almost overwhelming amount of detail placed before the listener, and it's with a certain relief that the main tune finally comes back in its characteristic unison scoring. The second movement is another tour de force of contrasting textures, but of a rather different kind; here (as in some of Beethoven's later quartets) the principal effect is a varied and virtuosic use of pizzicato, an effect used as a kind of crazy accompanimental patchwork surrounding statements (at the start on the viola, later the first violin) of a melody very close to that of the first movement. This texture alternates with bowed passages, ones in which more of those Wagnerian 'forest murmurs' act as an indistinct blanket of sounds through which melodic fragments again sound. I'll play you the start of the movement, up to the first 'forest murmur' passage. Those of you present at the last lecture may notice more than a hint of Bartók in this excerpt, particularly in the constantly repeated melody line at the start. And so it goes on, with virtually no let-up until the close. Allow the players a chance to wipe fevered brows after these two movements, which are among the most technically demanding in the entire string quartet repertoire. And so to a well-deserved respite: the slow movement. I mentioned near the start that Debussy had as a young man twice travelled to Russia, and plainly he came under the influence of some native music: a much less anxiety-influenced area of musical borrowing than was the Austro-German. Here, in this slow movement, the Russian influence is at its clearest, the gentle modality of the melody and its tendency to move in a very restricted compass being distinctly reminiscent of Borodin, and (for me at least) with even a hint of the gentler moments in Stravinsky'sFirebird suite, which would appear nearly two decades later. Again, though, the melody is derived, fairly obviously, from the 'motto' that started the first movement. And again, as with the other movements, Debussy experiments with a startling array of sound colours, in particular with the veiled tone that emerge from muted strings, and with a further, wonderful array of accompaniment figures that wander restlessly from instrument to instrument. You'll be pleased to hear - and may well know already - that after its underwhelming first performance, and after quite a few subsequent years in which it was rarely performed, Debussy's String Quartet gradually established itself as one of the cornerstones of the repertoire. This is, in a sense, all the more surprising in the context of Debussy's later development: while, as we saw earlier, the piece's ambivalent Germanic leanings were very much part of the French scene at its time of composition, Debussy very soon found his voice in orchestral and piano music of a very different kind: a voice in which overt poetic influences and loose, improvisatory structures are preferred to the 'pure' instrumental forms explored in the quartet. In all the history books, Debussy's atmospheric Prelude to a Faun's Afternoon (Prélude à l'après-midi d'un faune) is the true, the 'authentic' start to his remarkable career as a key innovator in twentieth-century music. It would not be until near the end of his life, in the dark days of the First World War, that he would regain the manner of the quartet, and start a series of sonatas (for cello and piano, violin and piano, and for flute, viola and harp): works that attempted - far more aggressively than had the quartet - to reclaim a sense of instrumental music for the French tradition. But that was far in the future. For most of Debussy's life his 'String Quartet in G minor, Op. 10', with its threefold gesture to the classical German past (in genre, in description by key centre, and in advanced 'opus'), seemed like a false trail. But now, of course, much more than a hundred years after its premiere, we can hear the work differently. Generations of performers have now wrestled with its extraordinary technical and musical difficulties, and generations of audiences have heard it anew, learning among other things to enjoy its dizzying array of textures and effects. Perhaps it will aid in that process today if I close with two quotations from Claude Debussy the music critic, from reviews he wrote in May 1901. The first describes the playing of Ysaÿe, and opines that 'without any sense of having intruded on the music, he has a freedom of expression and a spontaneous, natural beauty of tone - essential gifts for the interpretation of this music'. Ysaÿe was playing Bach's Violin Concerto in G, but Debussy's praise could easily be an instruction to the performers of his own String Quartet in G. In the second quotation Debussy is writing in loving detail about another work, but expresses his love in terms that could, I think, also apply in every detail to his quartet. [The composer's] wish was that the initial theme should contain all the potential for development. As well as being of prodigious beauty itself, it is also magnificent because of the other elements it throws into relief. There is no more triumphant example of how flexible an idea can become within the mold imposed upon it. At each leap forward a new joy is discovered. [...] You could say it was like the magical growth of a tree that was sprouting fresh leaves and blossoming at the same time. The work in question? Well, it should come as no surprise that Debussy's exclamations are directed towards a piece at the heart of Austro-German classicism. He is describing nothing less eminent and canonical than the final movement of Beethoven's Ninth Symphony. But that image of the magically growing tree may, perhaps, stay with us as we listen to Claude Debussy's constantly changing, ever-flowering homage to his classical past. Here to play it for us, as always, is the Badke Quartet. Please join me in welcoming them: Heather Badke (first violin), Emma Parker (second violin), Matthew Jones (viola) and Jonathan Byers (cello). BADKE QUARTET PLAYS DEBUSSY, ST.